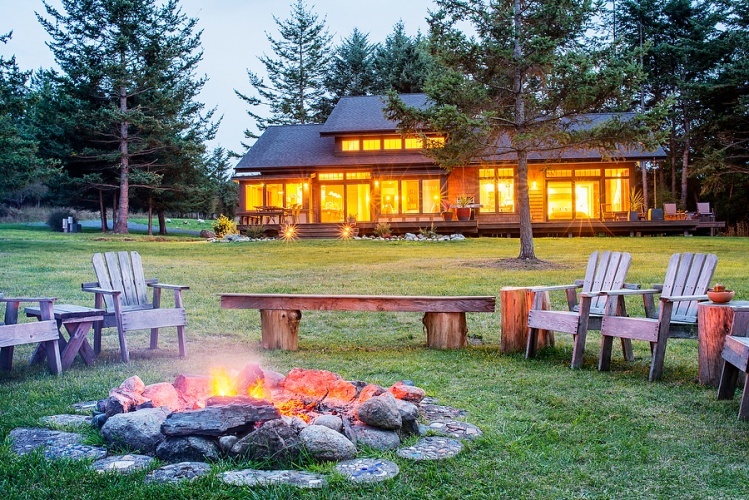 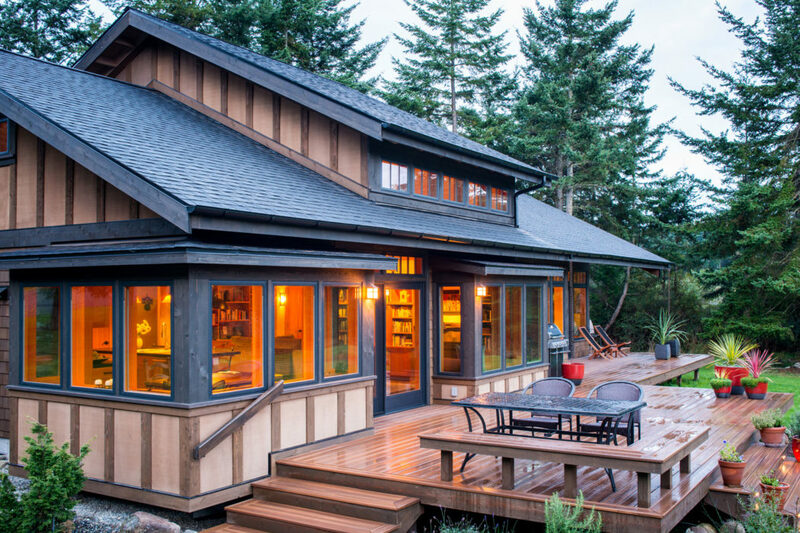 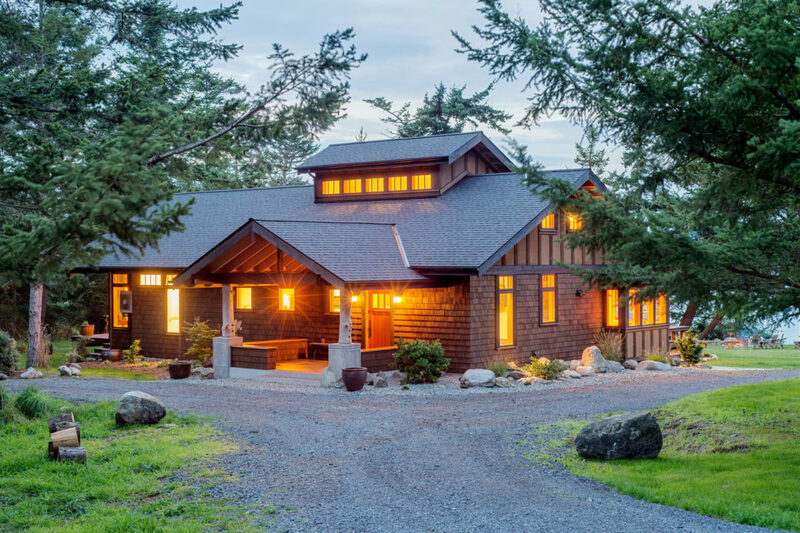 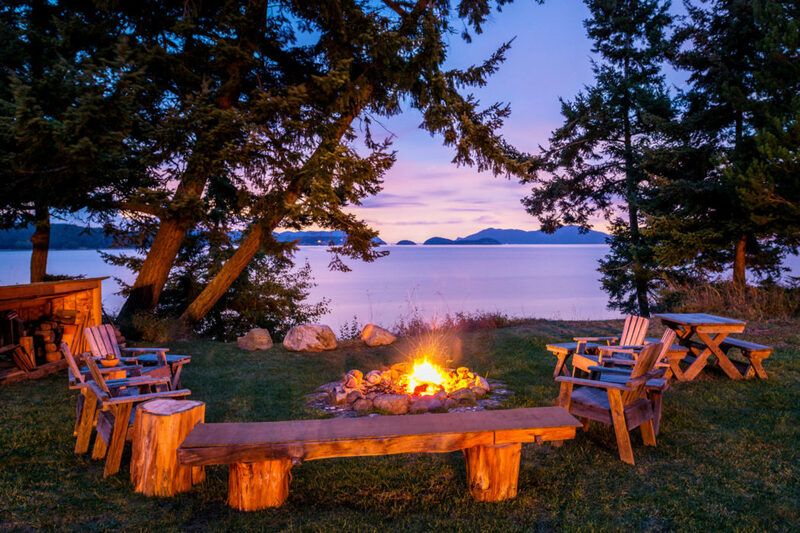 This new home in the San Juan Islands sits on a lovely rural property with low-bank waterfront. 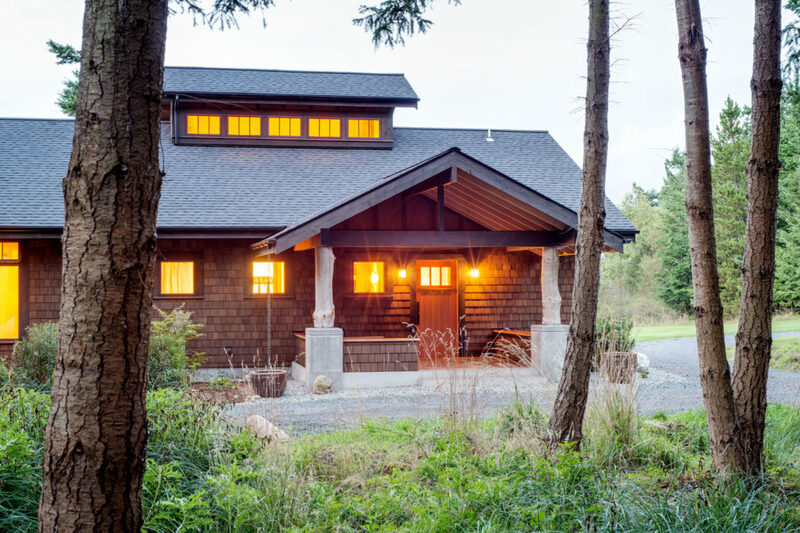 The architecture responds to the site: one approaches through the trees to the front porch, then once inside the house, views open up to the water beyond. 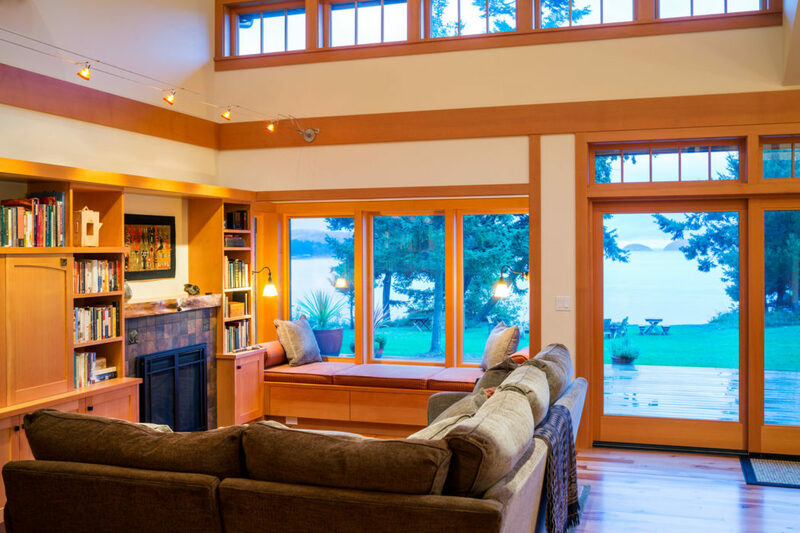 Southern sunlight faces the front side of the house, hence the lifted roof with clerestory windows to get light deep into the interiors. 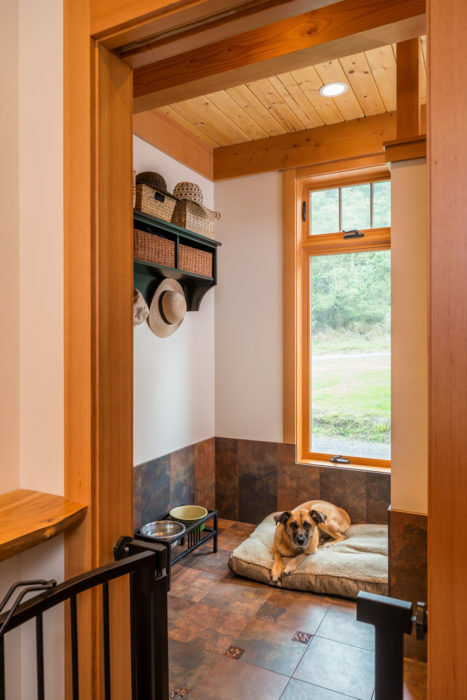 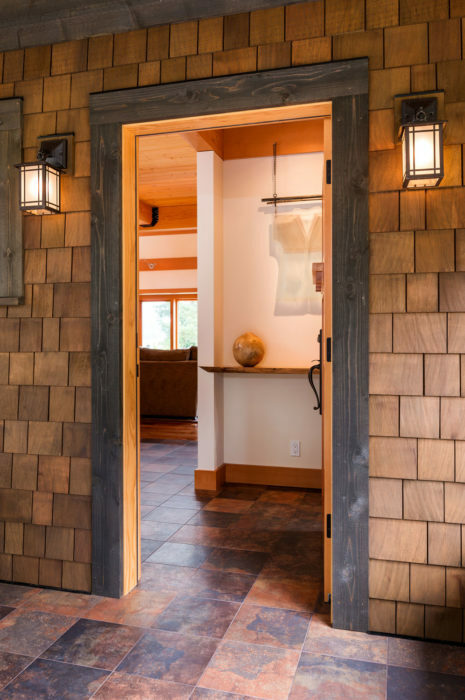 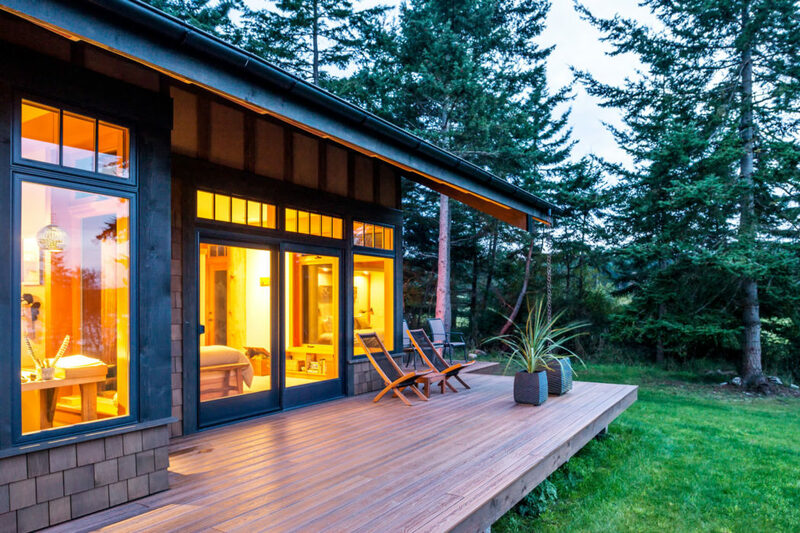 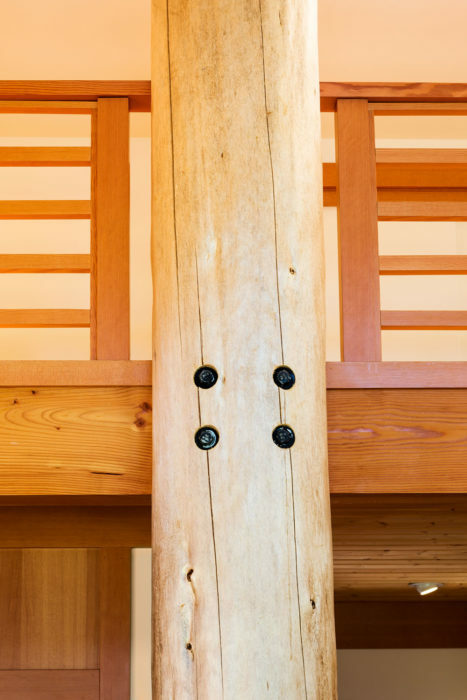 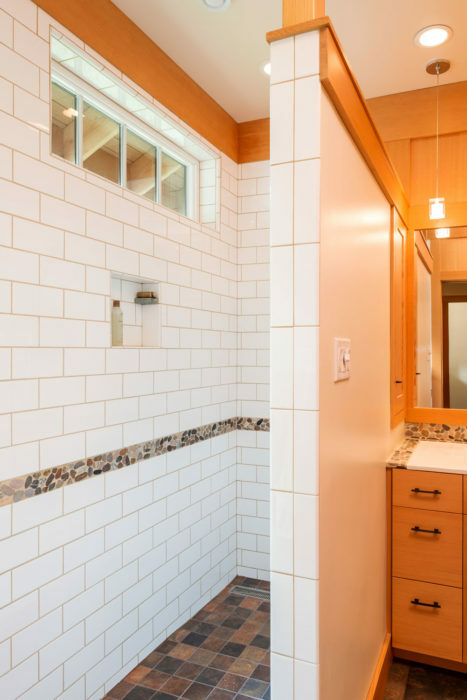 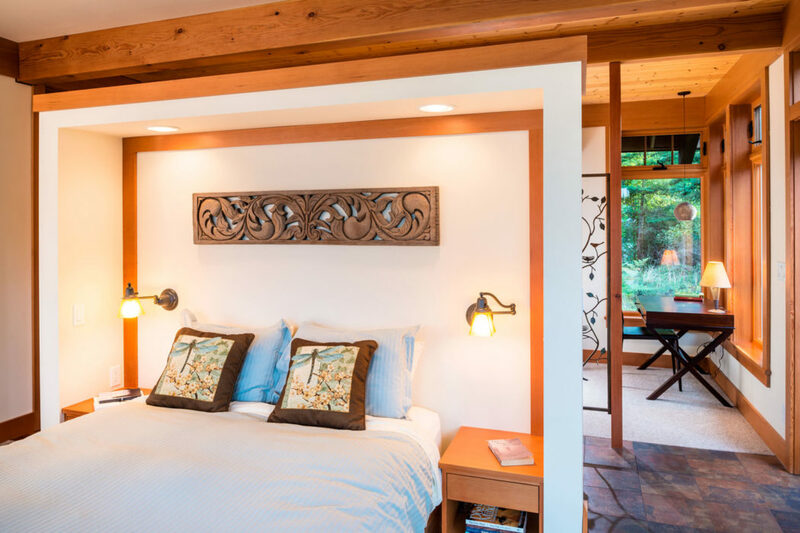 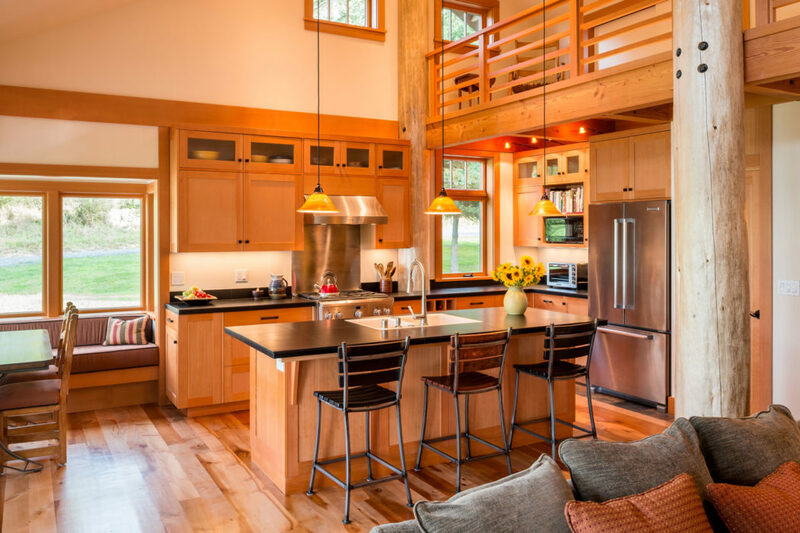 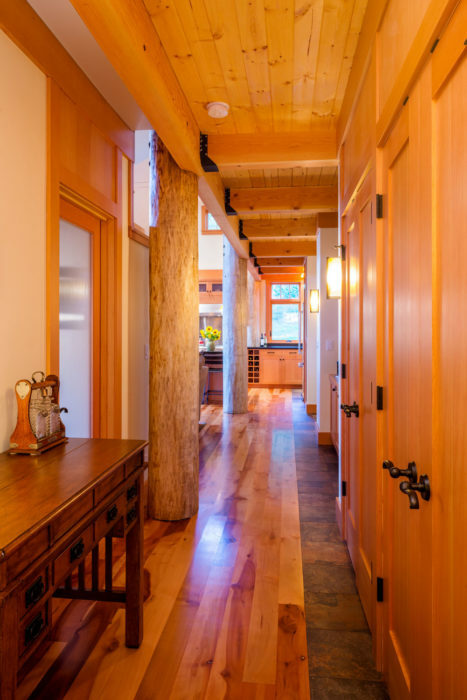 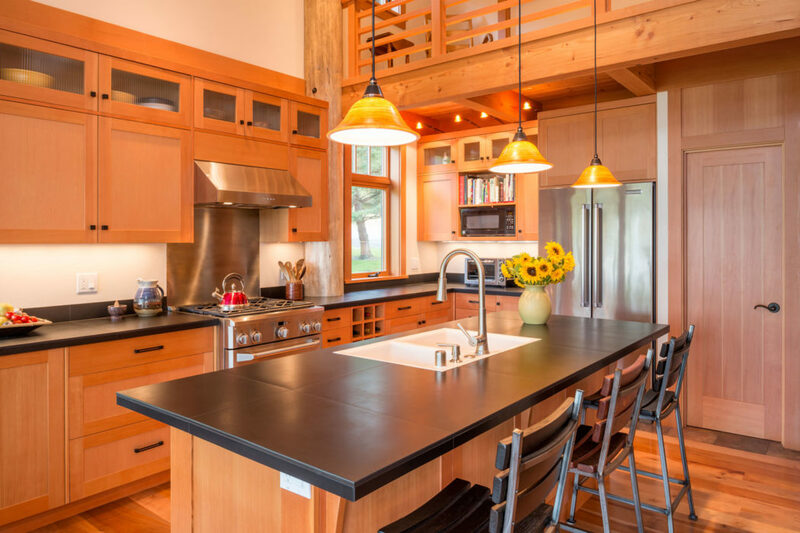 Our design is very simple and pure: a Northwest contemporary cabin with Japanese influences. 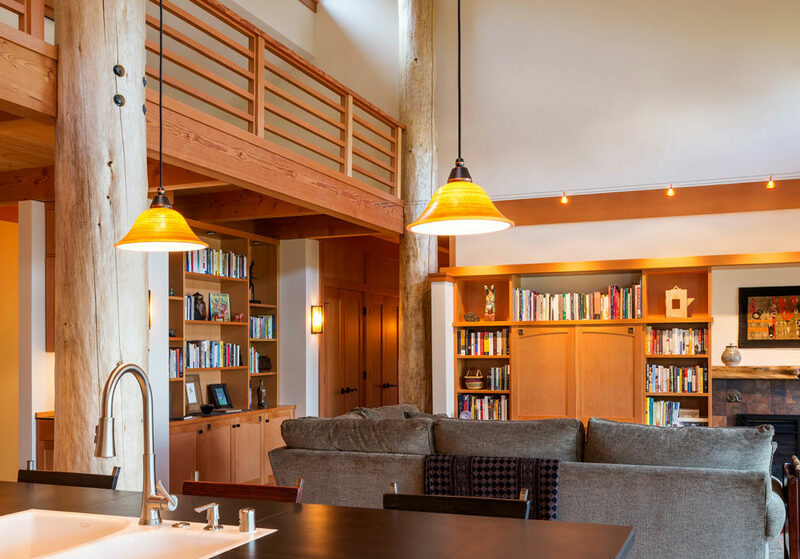 Deep overhangs, clear and simple structural components, and natural materials throughout impart a warm and welcoming feeling, yet modern and very functional. 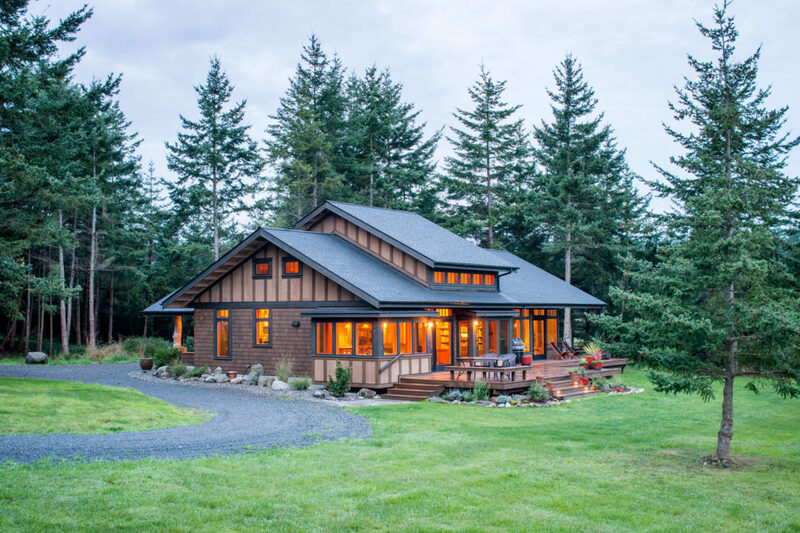 Our owners were fond of Craftsman styling, but not wanting this to be a fully Craftsman style home, we incorporated select Craftsman elements into key places around the house: extra-large overhangs, a broad low front porch, lots of nooks, niches, and built-ins throughout the interior. 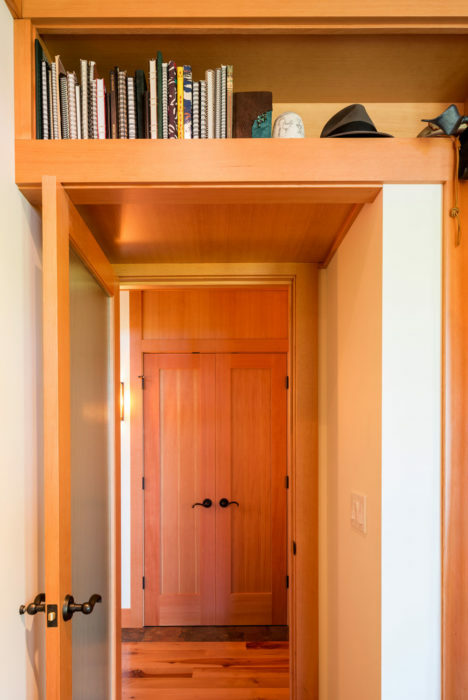 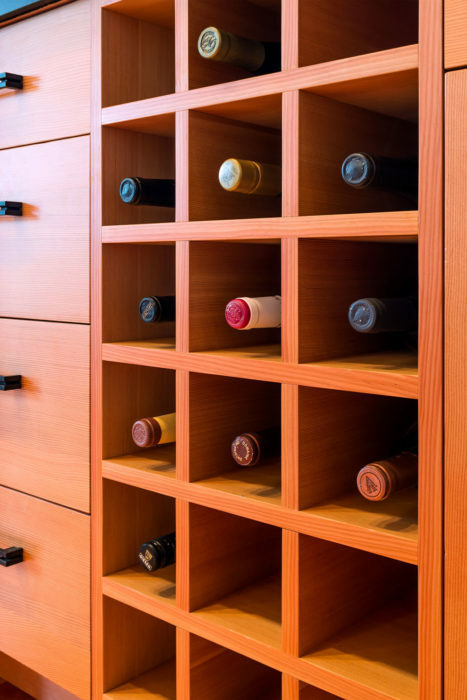 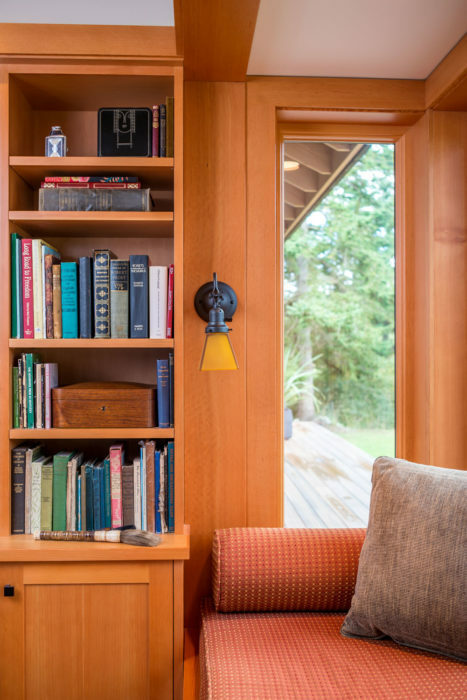 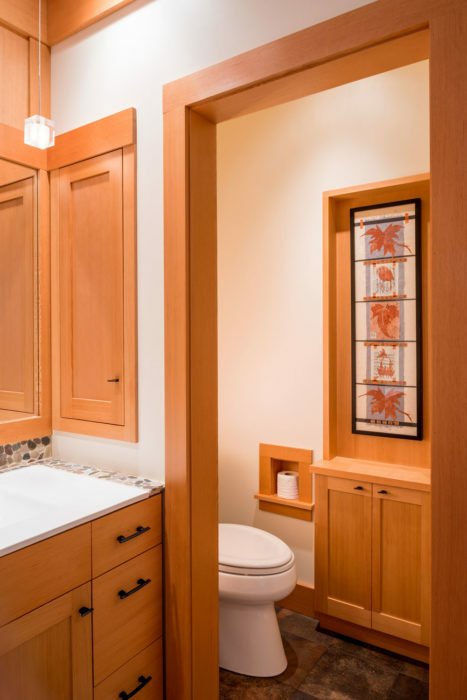 Many of these architectural features are tips featured in our Craftsman Tips blog here.